So after my last release there has been an ongoing joke here at HQ about my stamps. Mark really didn't want to follow instructions about size of one particular set, and they ended up being super popular, so the 'I told you so' phrase has been used quite a lot since then! So at least we now know that you guys seem to like the same things I like too! 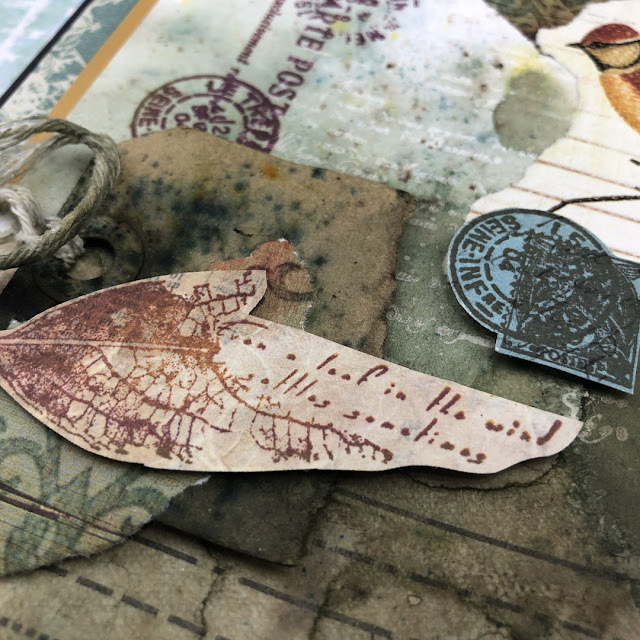 I was collecting dried leaves for ages before making these stamps, and that was a bit weird as it was pre-autumn at the time, but when you are looking, there are always plenty on the ground to choose from. For years we have collected Vintage ephemera elements here at PA HQ, so there is always a big box to go through and dust off too! Lets face it, you can't have too many scripty stamps can you? 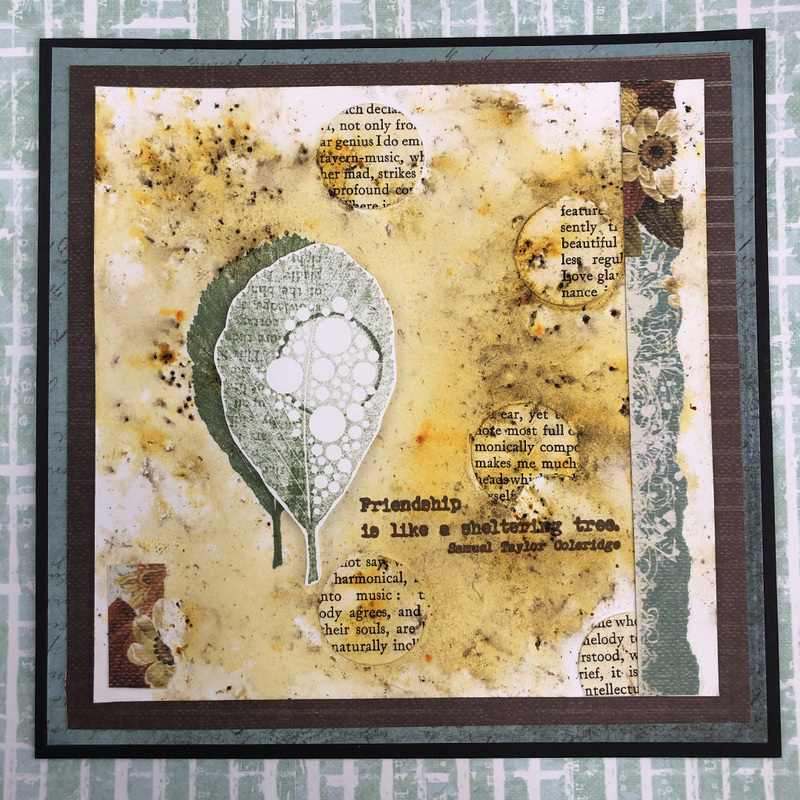 Tomorrow we have a new PA blog contributor to share her take with the stamps, but for today, here are some samples that Leandra and I whipped up as soon as the first rubber came out of the presses! Always so exciting! 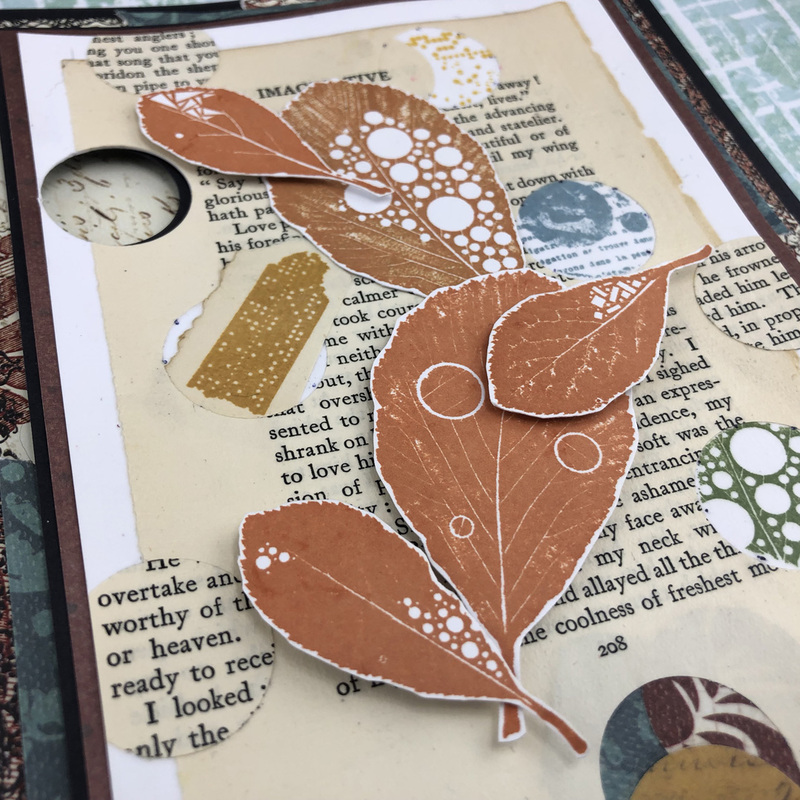 I started with a simple colour palette of brown, mustard and rust, which partly reflects these were designs I worked on from Summer through autumn 2018. 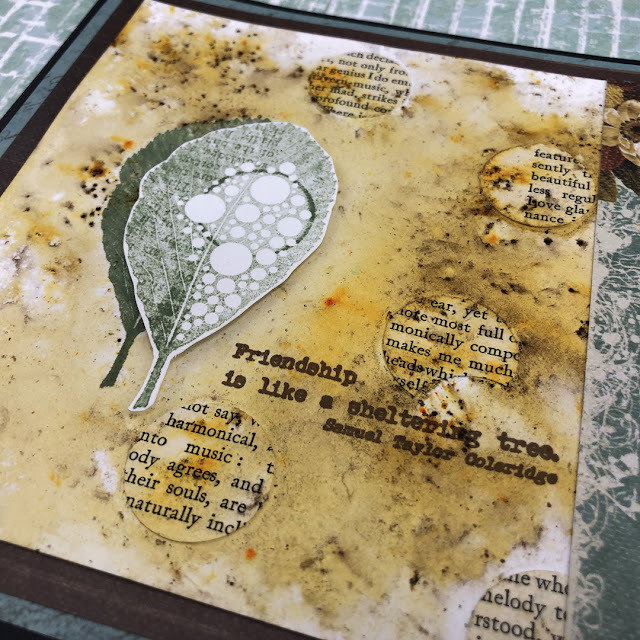 Adding 2 colours of ink to a leaf stamp creates a depth of colour, and a few 'Golden Sands' infusions sprinkled and gently spritzed and you are good to go! Does this count? It is such a ridiculously simple sample! 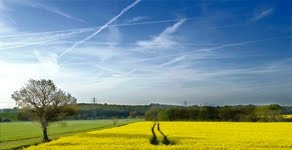 But I just loved how the image stamped up, I couldn't bring myself to do any more! A strip of infused card to the side, and I was on a side-kick of punching holes from paper, so this was it! Card done! When I created the stamp I spent a ages selecting sections of leaves, rotating them so the veins were going in different directions, and you never quite know how much of the fine detail will stamp up as you hope once the final rubber comes out of the press. This was brilliant, absolutely chuffed! 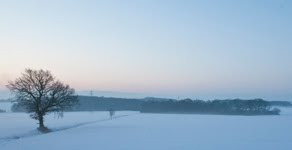 It can be a background layer too, or not. As I mentioned above, I got a bit obsessed about circles. The leaves had circles removed from them, and I always use book pages when I make anything, so I was just playing about with infusions, circles, book pages and the leaves. Can you see the text on the leaf above?? That is NOT part of the stamp design. That was a happy accident that blew our socks off!!! **new technique alert** Well maybe you ahve twigged to this before, but it was new to us!! 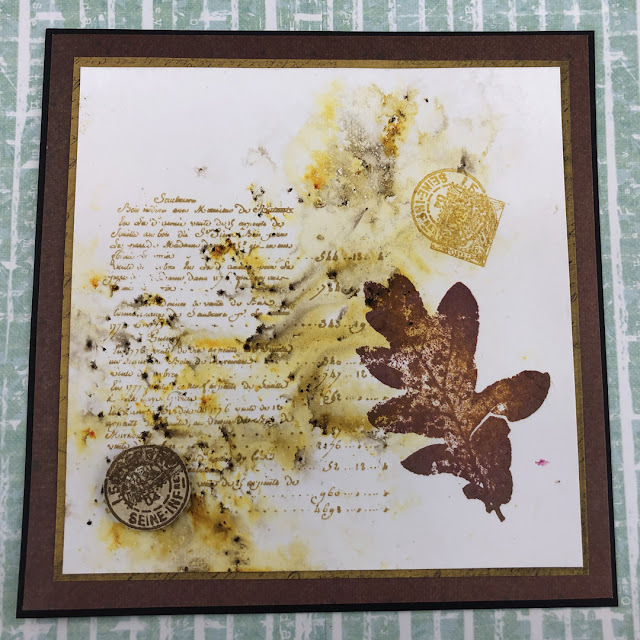 Leandra filmed me showing her and Lauren this technique, and you can hear thier amazement, and see it yourself on the @paperartsy instagram story saved as a highlight under ECF. THEN you will understand! 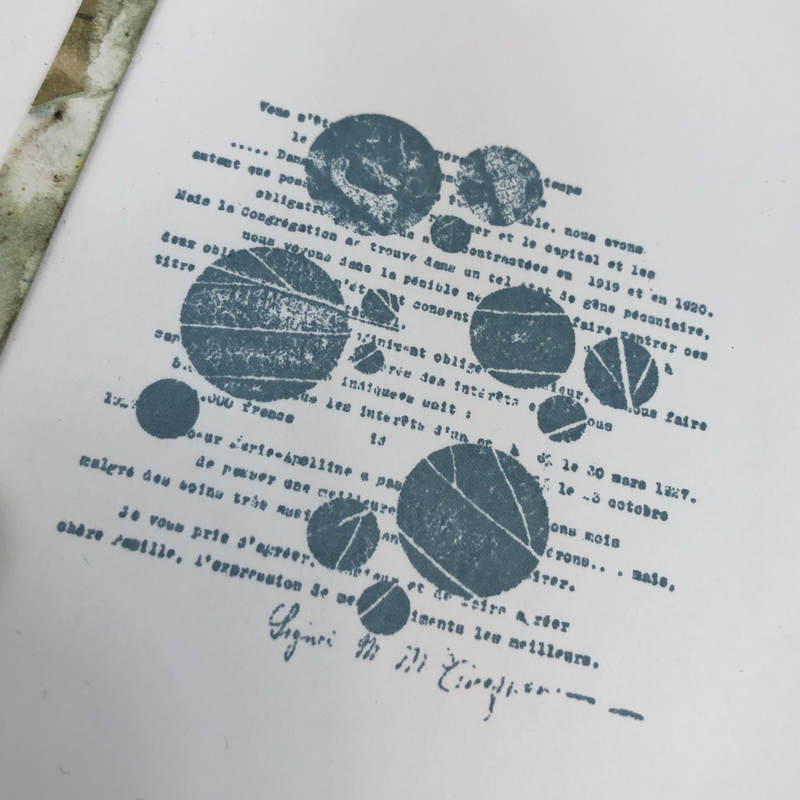 I think the fact that the book page we used is REALLY old, one of those where you can feel the script is raised from the printing process, so you are literally going to have to go through your book stash and find an old book with thick pages where the printing on the page is textured to achieve this effect! Good luck! Oh and it seemed to work better with dark archival ink vs light too! This really was just a play with arranging leaves. 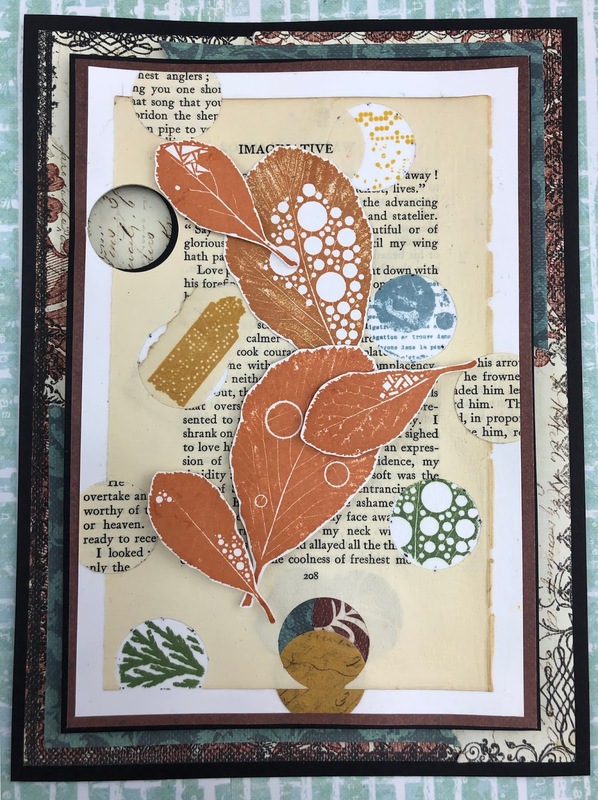 In hindsight I wished I had used a variety of rusty colours rather than one ink for the leaves arranged on the top layer. But I was a bit more obsessed with the punched holes, and what you could see peeks of through them. So Leandra actually made this one for a class she taught at the Stitches tradeshow recently. 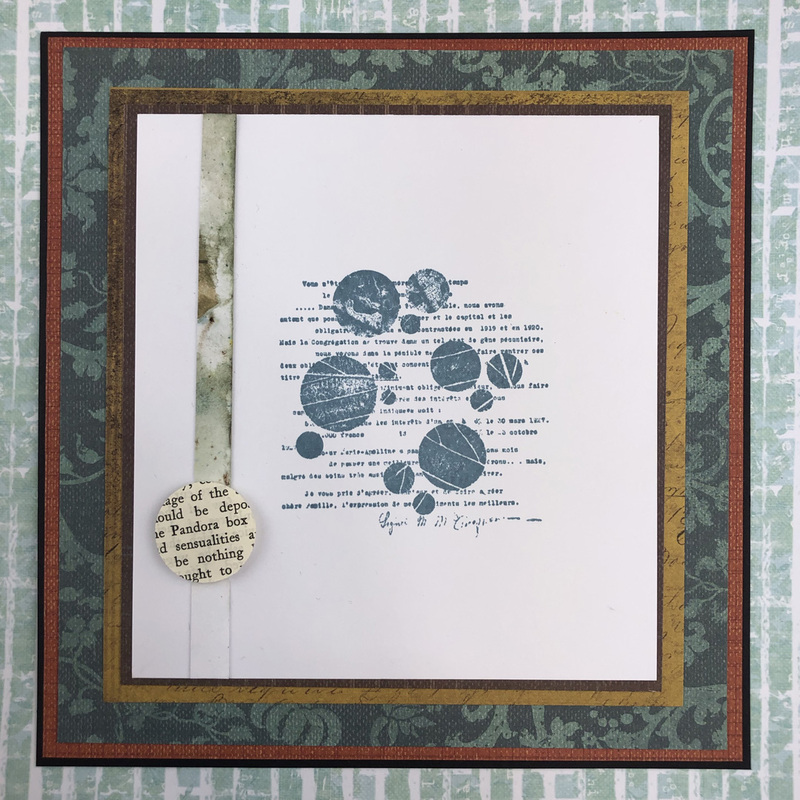 In the background you can see the script stamp was stamped in white paint, and with infusions on top, acts as a resist. 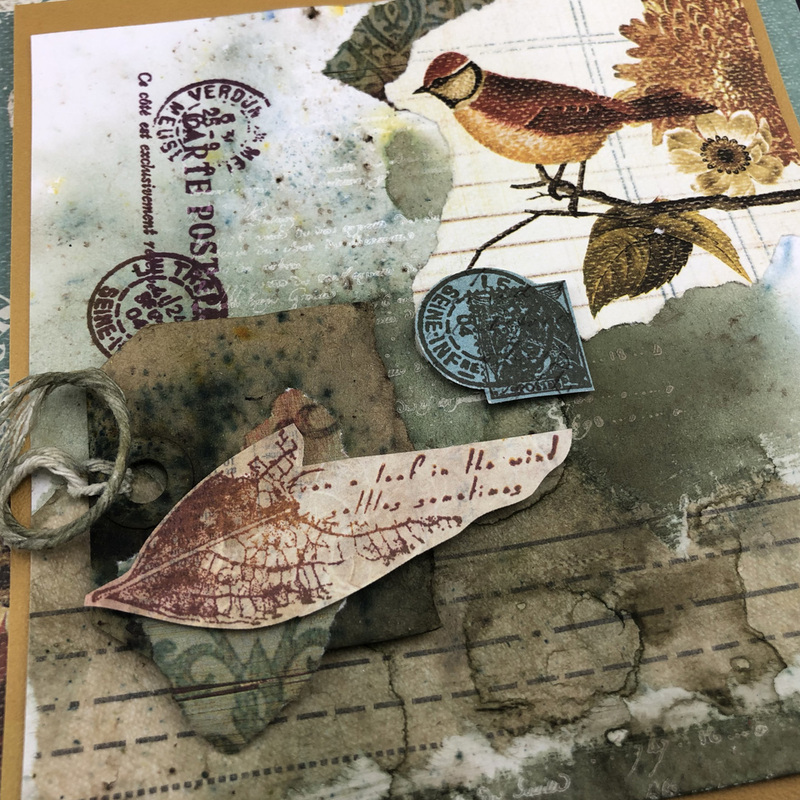 She also found some scrapbooking papers from the depths of her stash (bird image). 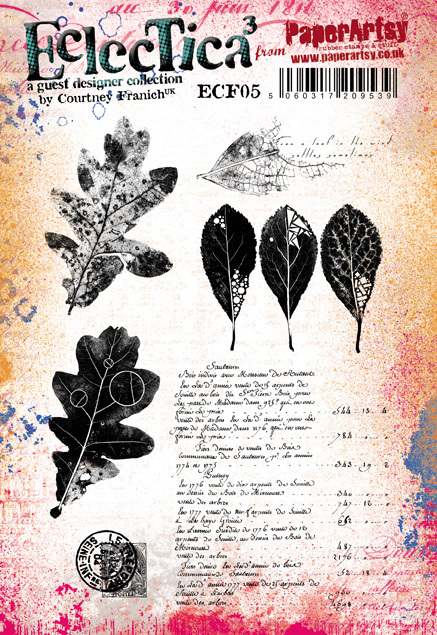 The leaf image (one of my favourite designs, in fact it might be the fave!) 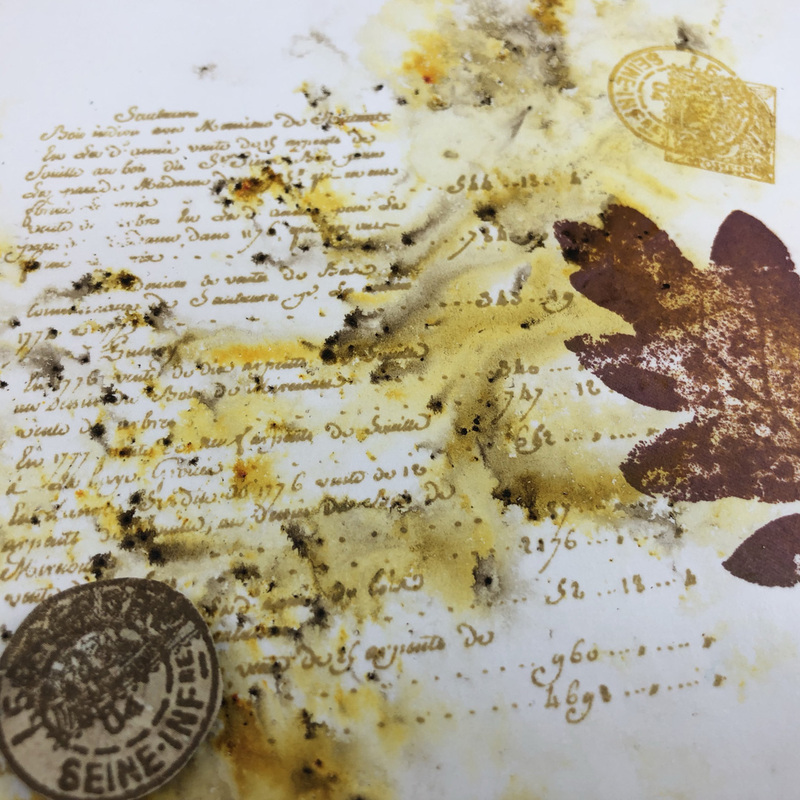 was stamped in shades of 2 rusty archival inks, trimmed. And other layers like dressmaking pattern, a tag were also layered up. A few other embellishments (postage image ) were scattered about to finishe of what is also a fairly simple composition. So overall a less-is-more kind of post from me, but the great thing about leaves is they have flexibility to be used in so many ways. If you see PA branded items on Amazon, Ebay, Aliexpress, Wish, then they are likely to be counterfeit products manufactured illegally without our permission. To purchase from such sites undermines our brand, our retailers and our product designers. We EXCLUSIVELY supply the following stockists listed below. If you purchase from an approved PA retailer, you know you are buying authentic, PaperArtsy made products. Congratulations Courtney. They are stunning. Love your samples too. oh WOW!! Courtney, I love the leaves.. all of them... stunning samples too. 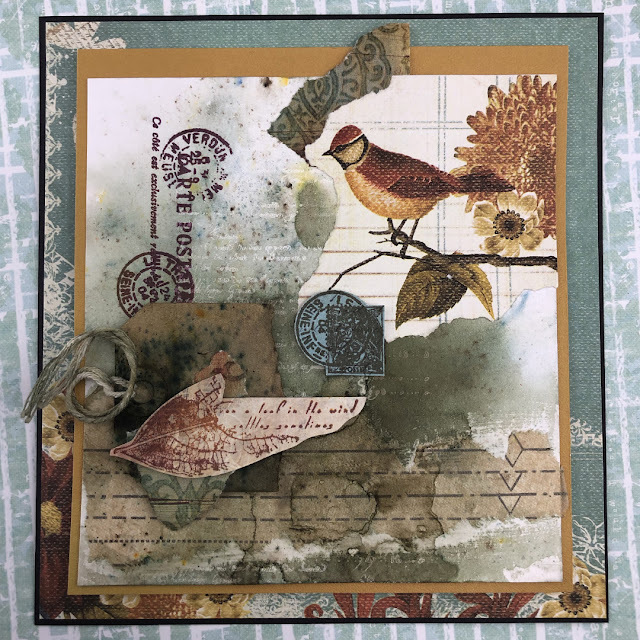 Wonderful cards and stamps! I have a special love for the last one with the little brown bird! 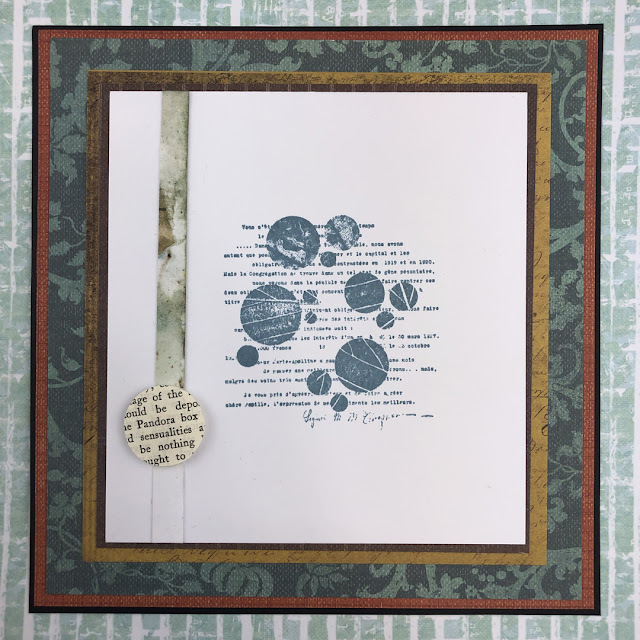 Gorgeous new designs and beautiful art Courtney! Love your colours too! 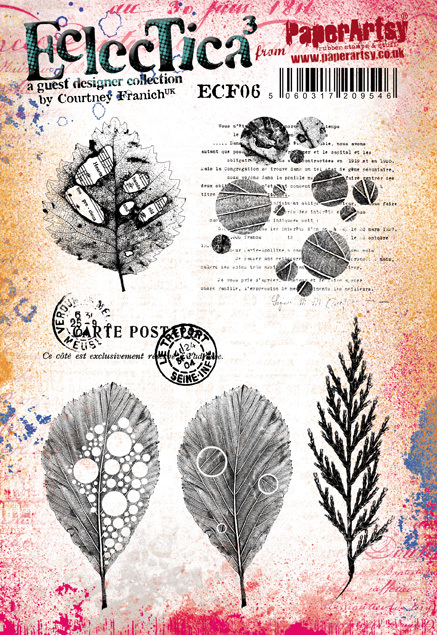 Absolutely stunning new stamps, Courtney - I'm definitely in love with those bubbles and leaves and leafy bubbles! And I couldn't agree more about the need for text and script stamps. These are going to the head of my list! Fabulous samples! I love the stamps too!